Marije Balmaan returns to Algo-Rhythms to present her new piece “Etudes pour le livecoding à une main”. This piece is a live performance where Balmaan rehearses livecoding with a one-handed keyboard by playing the scripts of other livecoding artists. This piece takes a look at how to practice livecoding and the skills it involves. 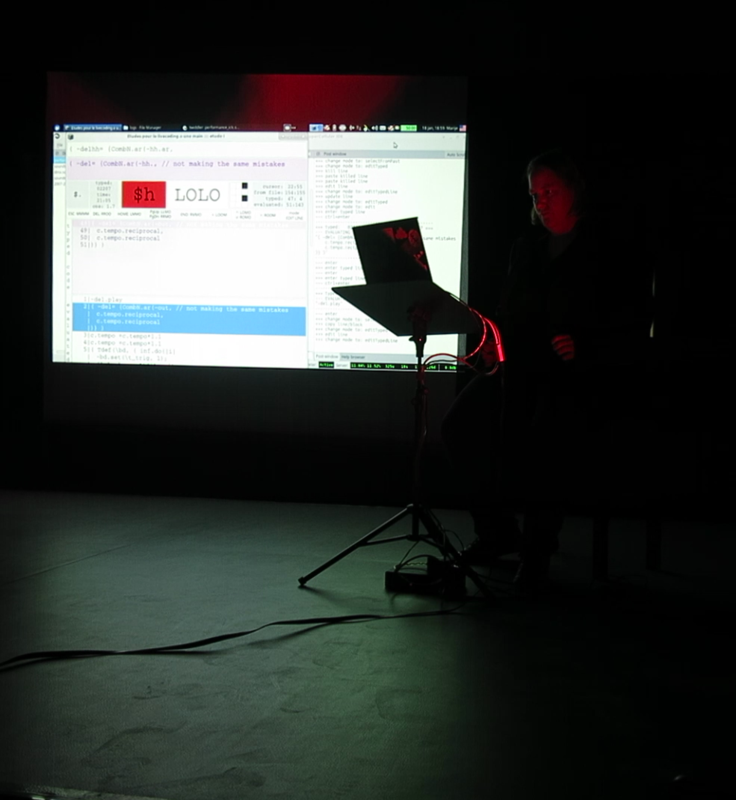 It questions whether performing other livecoded scripts is still livecoding. Algo-Rhythms is back in the Open City, deconstructing the way we think about the myriad of socio-cultural possibilities that the interface between music and digital technology opens up.